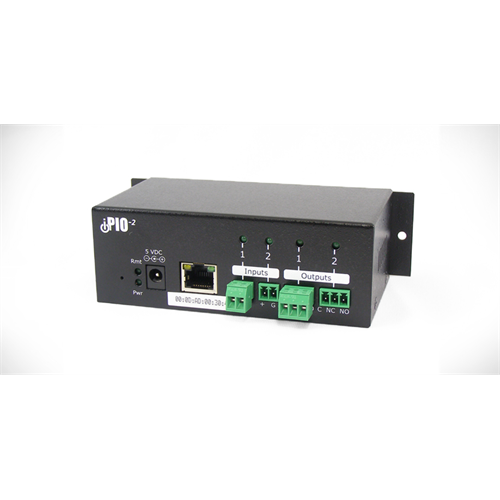 Dataprobe’s iPIO-2 gives you the ability to transport digital I/O across Ethernet networks with IP protocols. It has 2 inputs and 2 outputs that can be used in a variety of applications, including and not limited to, environmental monitoring, factory automation, manufacturing control and test systems, security and gate control, building automation systems and more. Multiple iPIO units can be tied together to communicate with each other, allowing for one iPIO to trigger an output on another unit on the network or across the internet. The iPIO-2 lets you consolidate events from multiple locations to a central alarm point. Inputs from any iPIO unit can be mapped to the relay output of another for maximum control of operations.